It’s time for another fun Color Happy coloring pages craft! If you’re looking for more coloring fun, be sure to check out our Sunshine Package that is fun for all ages and will provide you with hours of pure joy. Each month you’ll get 31+ coloring pages for adults for just $10! It’s super important that for this craft, you print on cardstock. This coloring pages craft is super simple, and lots of fun! 1. First, print your template on cardstock. 3. 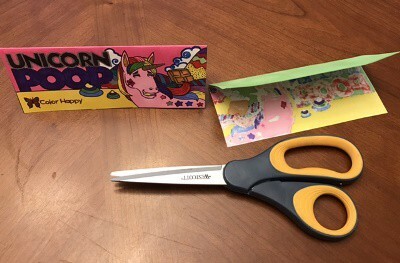 Cut out both colored headers from your template. 4. Fold them in half. 5. 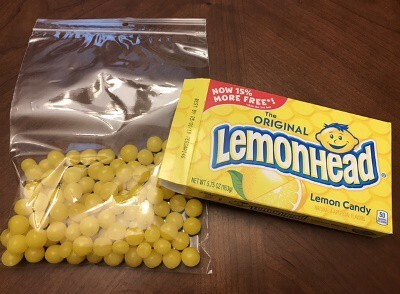 Fill your zip-top baggie with your candy. 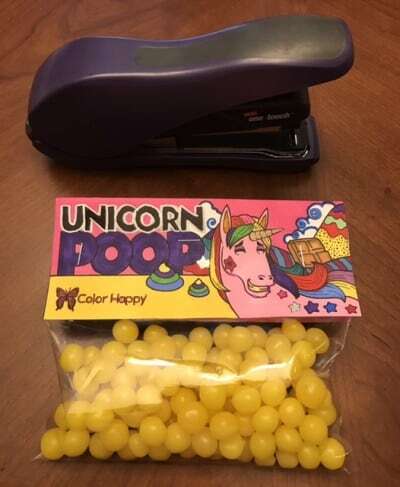 We used LemonHeads here (because we had left-overs from a different craft) but it would work even better with a rainbow colored candy. 6. Fold over the top of your zip-top baggie. Put your header on top. 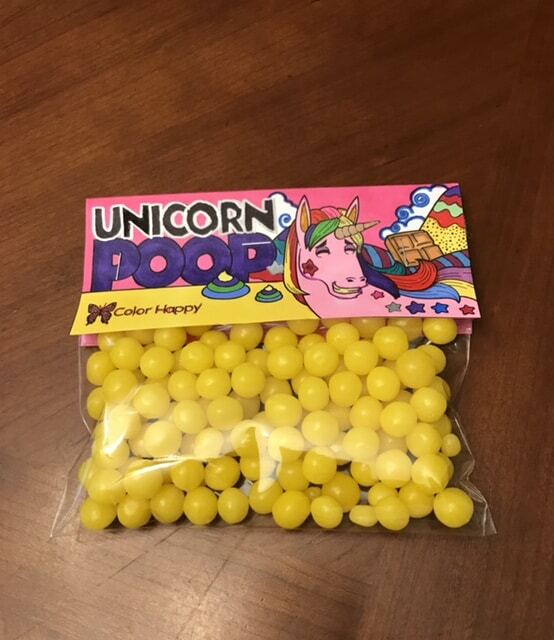 Now, give these out to anyone who would appreciate a gift of Unicorn Poop! Print off as many templates as you’d like. Did you like this craft? 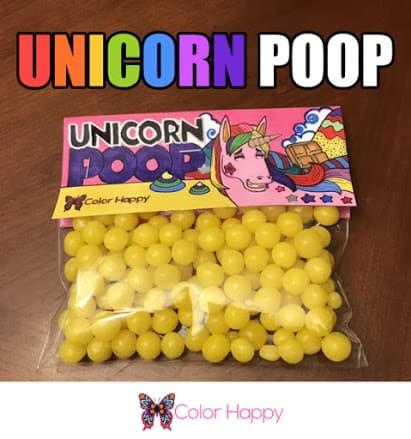 Get the complete Unicorn Food Happy Box!